Despite driving past Louisiana Pizza Kitchen (615 S Carrollton Avenue, New Orleans, LA, 504.866.5900) nearly every work day for years, I hadn’t been inside the place in years. My Italian-vacation-driven need for quality pizza sent me through the doors this week, where I was left wondering, “why did I wait so long?” No, it’s not certified, DOC pizza napoletana vera, but LPK is still turning out a crisp-tender, California-style thin crust, complete with puffed edges, cooked in a wood-fired brick oven. The menu offers baroque topping configurations, all clearly influenced by the heralded ’80s California pies turned out by Ed LaDou, the Cafe at Chez Panisse, and Wolfgang Puck at Spago. I ignored all of the predetermined pies and asked for a plain pizza, no cheese, topped with fresh spinach. (Okay, I would have preferred arugula, but it wasn’t available). Lo and behold, it was a fine thing: more Italian in feel than California. LPK’s marinara is a bit too thick to be truly Italian, but it possessed bright acidity, just a whisper of sweetness, and tasted of tomatoes rather than long-cooked sauce. 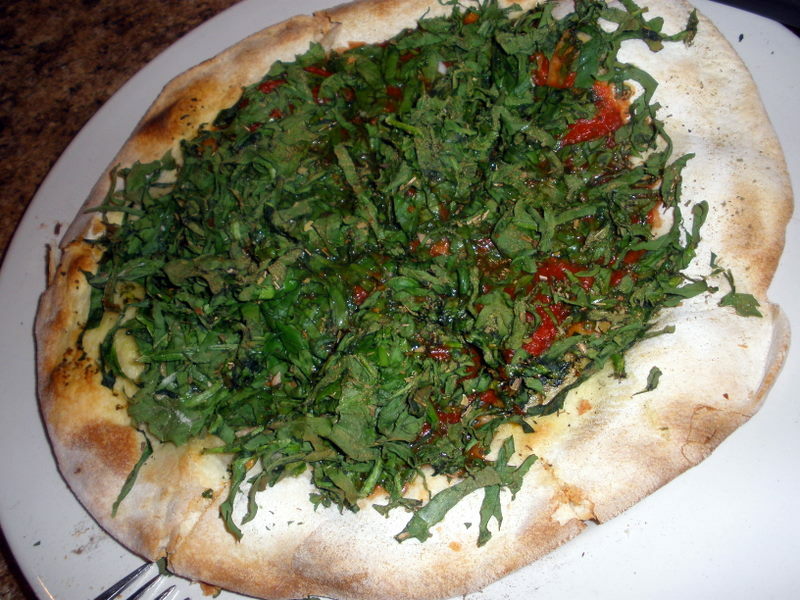 A mound of julienned spinach, barely wilted by the oven’s dry heat, offered a bitter, vegetal complement to the sauce & crust. Minimalist, off-the-menu pies not appealing? Need to have cheese, layers of flavor, and lots of texture & color? Don’t worry, the menu provides many options. 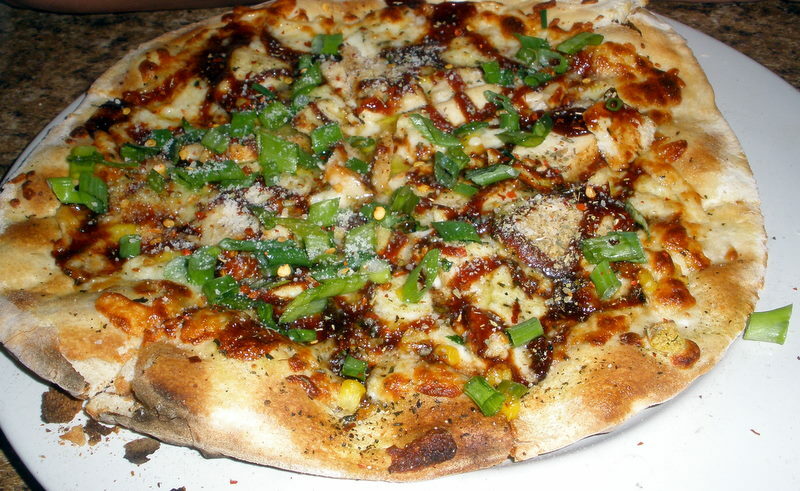 The barbecue chicken pizza (does it get any more ’80s and California than barbecue chicken pizza?) is pretty tasty. My only complaint about LPK: I could live without the crummy dance music soundtrack…Britney and Lady GaGa don’t exactly improve my dining experience. The disco balls on the ceiling are fun, though. In the past, while the crust was thin, it was inedible, with a cardboard-like consistency. Was it better than that when you sampled their offerings? I didn’t find it inedible…I’ll admit that it wasn’t the most flavorful I’ve ever eaten, but it was crisp, non-soggy, and tender at the edges (not cardboard). LPK offers a whole-wheat version, too (though I didn’t try it).